The more I learn about clean eating, the more I realize how important it is to read labels whenever you buy food. You wouldn’t believe how many preservatives there are, things that we can’t even pronounce. If you can’t pronounce it, put it back! If your tongue can’t handle it, your body can’t neither. I don’t need to mention how much better you feel with a clean and healthy diet. You have more energy, you’re more focused and in a much better mood. David and I eliminated bread because of the sugars that they contain and also because of the wheat. 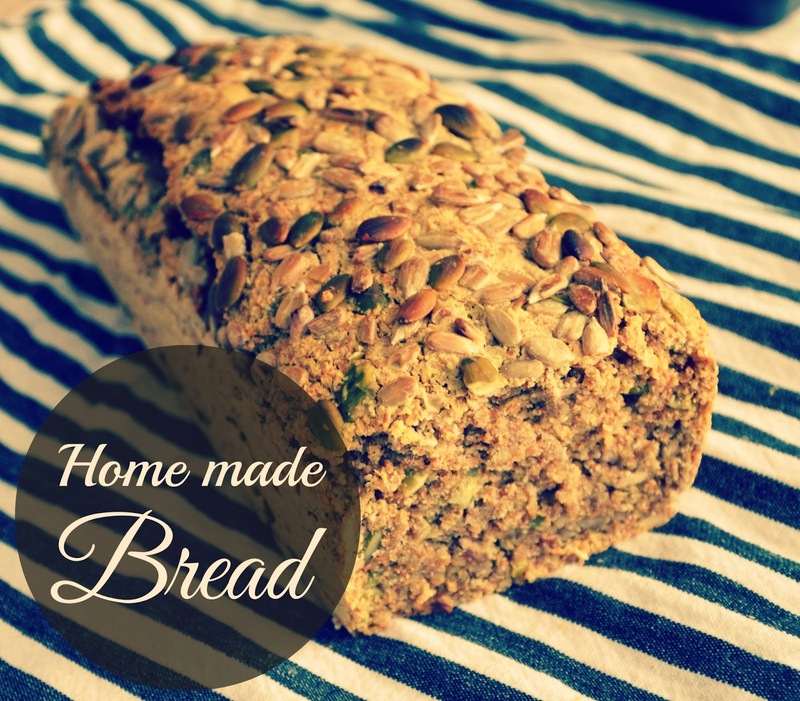 But, not that long time ago, my dear friend Snezana told me about her mom’s super healthy bread recipe. I tried it the same evening and since then, I’ve been making it twice a week. The best part is: it’s clean and doesn’t contain wheat. You have to try it, it literally takes 10min and it will last for the next couple of days. Mix all the dry ingredients. You can add as many seeds as you want, and of course you can use any kind of seeds. If you like, you could add walnuts. Add one glass of water and mix. Keep adding the water until you have a fluffy consistency. I end up putting around 4dl. Put parchment paper into baking pan and fill it with batter. In the end, smear it with a little bit water and put sunflower seeds and pumpkin seeds on top. Press them carefully into the bread with the back of your fingers. Bake for 40 – 45min.